WASHINGTON, D.C. – The Federal Emergency Management Agency (FEMA) has announced that federal disaster assistance has been made available to Ohio to supplement state and local recovery efforts in the areas affected by severe storms, flooding and landslides Feb. 14-25. 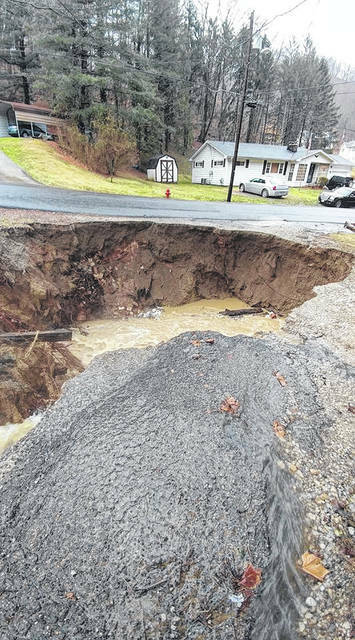 “All Scioto County jurisdictions will be eligible for reimbursement for up to 87.5% of costs associated with response and recovery to the flooding in February, including flood defense costs in the city of Portsmouth and village of New Boston,” said Kim Carver, director for Scioto County Emergency Management Agency. Carver said all townships, villages, the city and county must send representatives to the FEMA Public Assistance Applicant Briefing at 9 a.m. April 27 at the SOMC Friends Center to learn about paperwork necessary to receive the help to cover costs for road repairs, debris removal, emergency protective services and more. Carver also said the Scioto County Commissioners are extremely pleased to see help for the county jurisdictions is available to help provide some relief to jurisdiction budgets. In late March, Portman and Brown wrote a letter to the President urging him to act swiftly to approve Gov. John Kasich’s request for a Presidential Disaster Declaration for Ohio counties impacted by the severe flooding. Federal funding is available to the state and eligible local governments and certain private nonprofit organizations on a cost-sharing basis for emergency work and the repair or replacement of facilities damaged by severe storms, flooding and landslides in Adams, Athens, Belmont, Brown, Columbiana, Gallia, Hamilton, Jackson, Lawrence, Meigs, Monroe, Muskingum, Noble, Perry, Pike, Scioto, Vinton and Washington counties. Federal funding is also available on a cost-sharing basis for hazard mitigation measures statewide, such as debris removal and repairs to damaged roads, bridges and other county infrastructure.